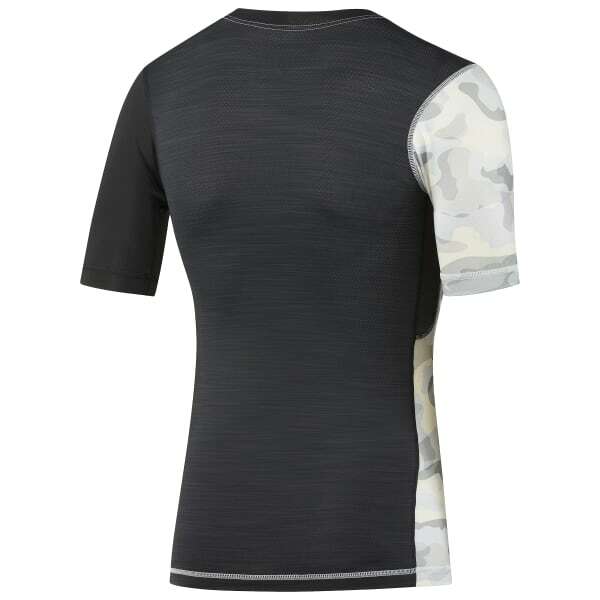 Practice day or game day, boost your upper body potential in this men's short sleeve compression top engineered with hardworking muscles in mind. Its all over, sweat wicking fabric and all mesh back reinvigorate reps and sets with cooling comfort. A colour blocked design and camouflage print add instant credibility.